PC-based DAQ system exploit the processing power, productivity, display, and connectivity capabilities of industry-standard computers providing a more powerful, flexible, and cost-effective measurement solution. Charts window displays real-time data measured with sensors. Some calculated data such as magnetic noise or magnetic gradient are provided in charts. Data channels are selected from the drop down list. Chart scale, color and thickness are adjustable. Maximum 24 charts can be displayed on four pages. 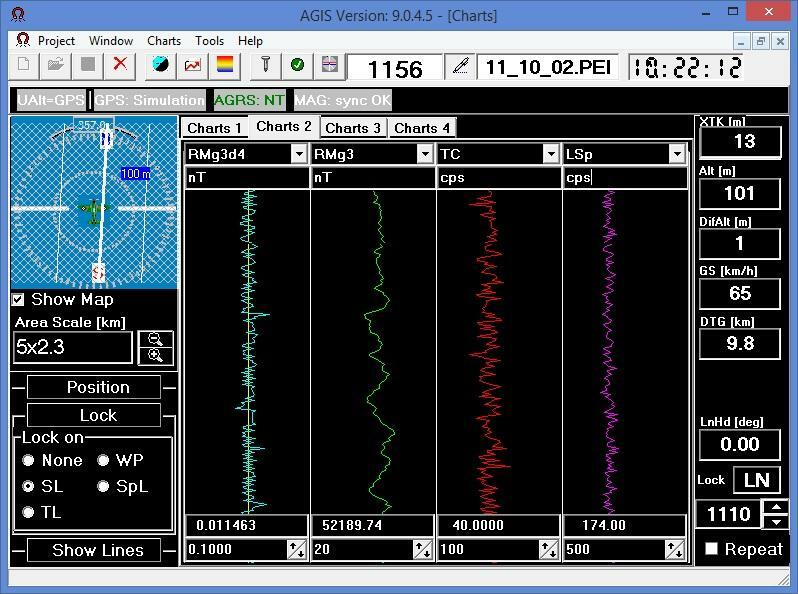 Real time spectra are presented in AGIS if a spectrometer is connected and the spectrum can be displayed as chart or as colored spectrogram. 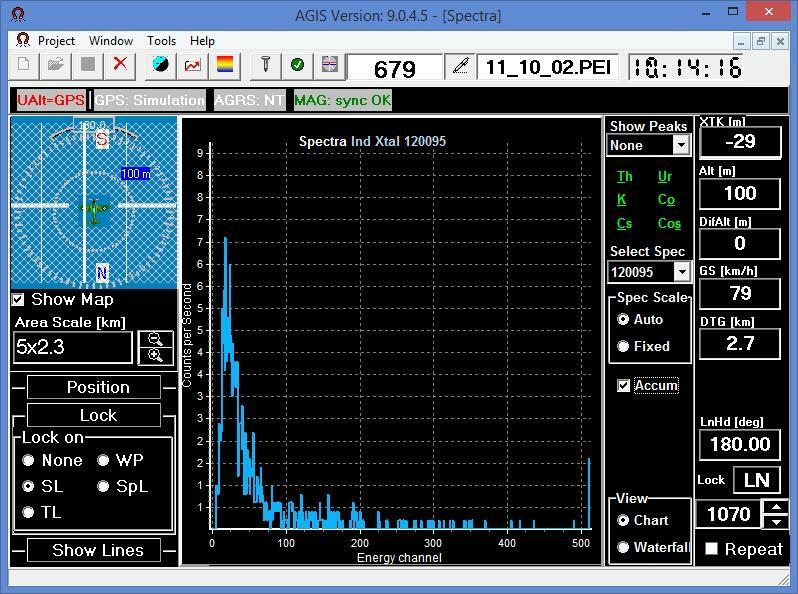 Nuclides peaks display and accumulation options are available in Spectra window. 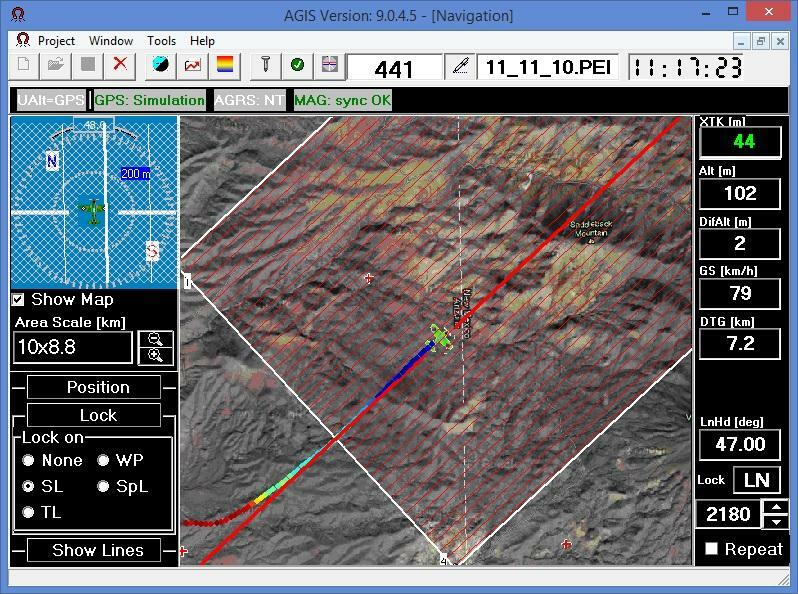 Navigation view presents flight path, survey area plan and map. Horizontal situation indicator displays aircraft heading and position relatively to a locked line or way point. Cross track error is shown. Vertical path (altitude level) and ground speed guidance are provided. Graphics and numbers are color coded to indicate position and speed tolerance. Pre-planned drape surface can be used for consistent and safe altitude. 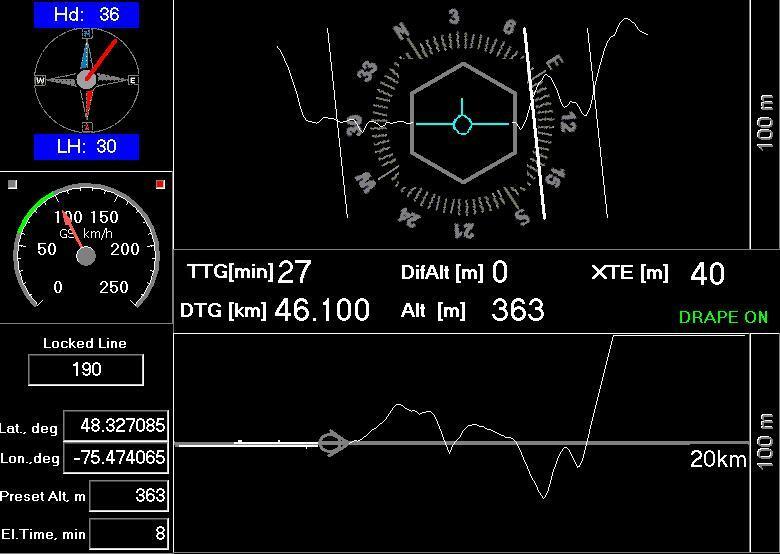 The additional PGU screen (Pilot Guidence Unit) offers navigation information for pilot, such as cross-track , elevation, destination to the start/end of the line, next line or way point. 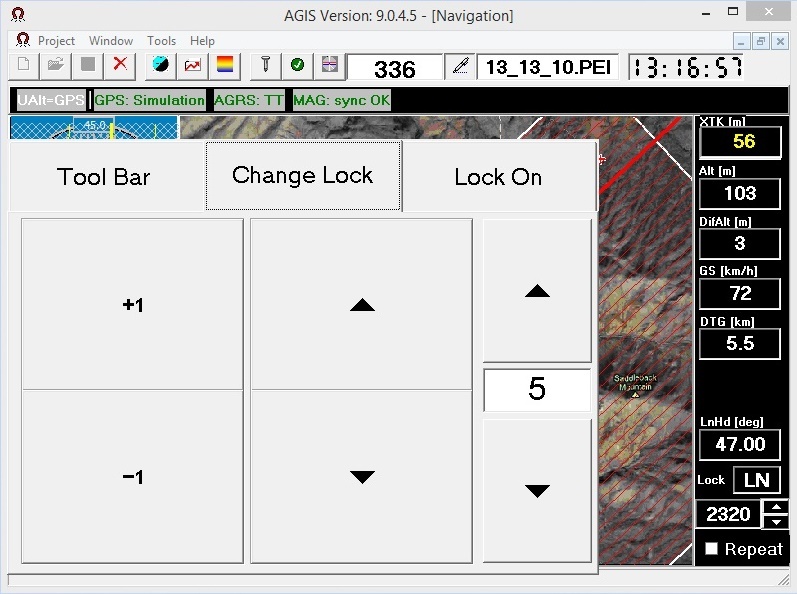 AGIS provides magnified controls and keyboard shortcuts to control survey operations in unstable flight conditions. For example, arrow key or magnified buttons are used to change a locked line. AGIS touch screen allows magnified buttons to appear on demand.